Fixed braces are thin wires that push your teeth into their correct positions. Fixed braces consist of brackets and bands cemented to the teeth to maintain a grip of teeth. The wire is tied into the brackets with a steel ligature or a colored plastic ring. 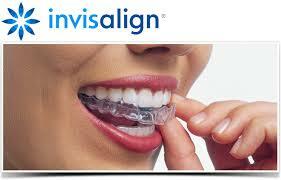 Sometimes removable braces are also used if the patient is in the growing stage. Our dentist will take X-rays and impressions for plaster model in the first visit. We will also discuss a treatment plan with you at this stage. Our dentist will go in more details about the treatment plan at this stage and explain the dos and don’t of the aftercare for the treatment. Before braces are fitted, separators are placed between your molars for a week to create spaces for the molar bands. Our dentists will cement the bands and brackets will be bonded to your teeth. We will book your subsequent visits to make sure that the fitting is fine. Individual case varies but a normal period of treatment with fixed braces is two to three years.